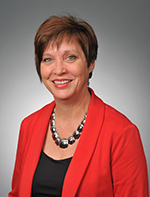 Gwendolyn B. Skinner serves as Devereux’s vice president of operations. In this role, she is responsible for overseeing the day-to-day operations - including all programs and services for children and - adults at our Florida and Georgia centers. She has been in this role since May 2017. Skinner - who has more than 30 years of behavioral healthcare experience - joined Devereux in 2009 as executive director of our Devereux Georgia center. Along with her team, she helped transform the center into a highly successful campus with significant clinical and operational expertise. Prior to Devereux, she served as the director for the Georgia Department of Human Resources' Division of Mental Health, Developmental Disabilities and Addictive Diseases and the Deputy Commissioner of the Georgia Department of Juvenile Justice. Skinner has earned the following academic degrees: a Bachelor of Arts in Sociology, a Master of Education in Guidance and Counseling and a Master of Education in School Psychometry from the State University of West Georgia; and Education Specialist in Counseling Psychology and Education Specialist in School Psychology from Georgia State University. She is a Nationally Certified School Psychologist and Licensed Marriage and Family Therapist. Skinner also has presented at the state and national levels, focusing on the areas of juvenile justice, mental illness, developmental disabilities and addictive diseases. In addition, she and her husband have served as foster parents to more than 40 children. Mary H. Esposito is a graduate of the University of Georgia School of Social Work and Georgia Southern University. She is a licensed clinical social worker and a member of the Academy of Certified Social Workers. Ms. Esposito served as a Captain in the United States Air Force as a psychiatric social worker. She retired from the State of Georgia with thirty-four years of service in mental health, state corrections and juvenile justice. Since retirement from the state, Ms. Esposito has continued serving children and families in the private, non-profit community. She brings a unique combination of clinical and operations experience to residential and community programs within Devereux.